Leaving Cameroon is both exciting and surprisingly nerve wracking. I’ve almost gotten used to this lifestyle, almost. What is it going to be like to go back to a place where everything is extremely accessible and I blend in? I’ve been living by myself in a fairly quiet apartment. At home there are people coming in and out of the house pretty regularly, my parents who I love dearly, want to know my plans so they can coordinate, and I am not integrated into peoples lives as I was 5 months ago- people have to make room. When I lived in New York it was easy to visit home, only being and hour away. When I lived in Italy, my family came to visit me. This is the first time I will really be ‘visiting’. What am I really looking forward to? –New York, you have no idea how amazing that city is until you become comfortable there. My museums, which I believe got me through the stress of college, are safely the same as I left them and so is Cafe Fiorello’s. I plan on ice skating and spending New Years with my friends and seeing a Broadway show with my mom. I am excited about what it will feel like to be there and after living in Cameroon the traffic and subway delays shouldn’t even bother me. –Hanging out with my mom. We’re supposed to be making cookies together. At first I was thinking I didn’t want to do anything when I got back- but I realize this is definitely not a chore. –See all of my cousins. I am a lucky girl with over 20 cousins, whom I actually feel close to and miss seeing. –The Grove– for some reason I’m really looking forward to going to this outdoor mall with those expensive stores you wish you could buy ON rack all the time, but you would go broke after 2 outfits. I plan on buying a latte at the Starbucks there and shopping the sale sections at J. Crew and Anthropologie, and maybe the Papyrus. -I really want to go to Franks and The Windmill. These places are staples of the Jersey shore and not to be ridiculous, but the best deli and hot dogs in the whole state. I’ll be home for 3 weeks. Will I be sad to leave, making me have to re-adjust again? Or will I look forward to leaving because of all the excess stuff that I don’t have to deal with, and the simplicity of life here? I don’t know and… I shouldn’t spend time wondering because I guess it doesn’t really matter. 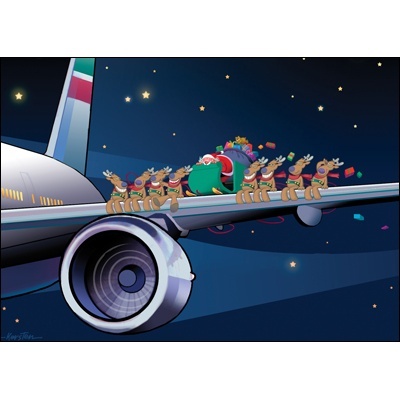 As cheesy as this sounds- I’ll be home for Christmas with my family and friends. Consequently I am very lucky. I’ll just concentrate on that.